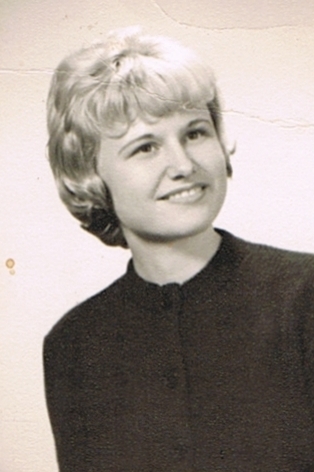 Carole Brass, 74, of Gothenburg, Nebraska, died March 26, 2019 in Gothenburg, NE. Carole was born September 6, 1944 in North Platte, NE, daughter of LaVerne Eric and Virginia Claire (Camblin) Peterson. She grew up at Brady and graduated from Brady High with the class of 1962. She then moved to Kearney while attending Kearney State College. She graduated with her Bachelor's in Special Ed. She lived at St. Edward and McCool Junction before moving to Gothenburg in 1976 and made her home there. Carole married Delmer Brass on July 15, 1972 at Gothenburg and they had a son Christopher. Carole worked as a Special Ed Teacher. She also did some babysitting for various families. She was a devoted wife and mother and had a special place in her heart for her pets. Carole was a loyal Husker sports fan. She enjoyed playing cards and hanging out with her card club. Surviving are husband, Delmer Brass of Gothenburg, NE, and son, Christopher Brass and Kaiti May and children Trypp and Kiana of Brady, NE and extended family and friends. Visitation will be held at Blase-Strauser Memorial Chapel, Gothenburg, Nebraska; Monday, April 1, 2019 from 1:00 PM to 7:00 PM. Funeral services will be held at First United Methodist Church, 1401 Lake Ave, Gothenburg, NE, Tuesday, April 2, 2019 at 10:00 AM with Pastor Jamie Norwich McLennan officiating. Interment will follow in Ft McPherson National Cemetery. Memorials may be given to the Gothenburg Volunteer Fire Department, 602 Tenth Street, Gothenburg, NE 69138.